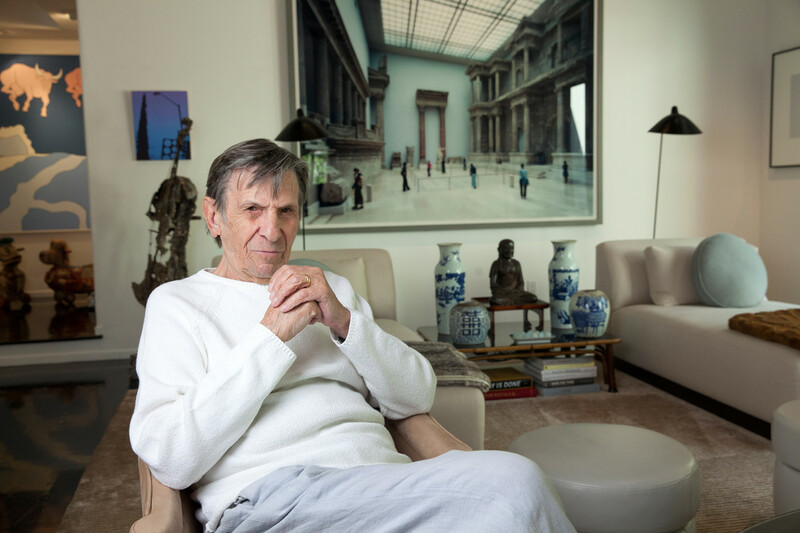 Leonard Nimoy had a history with San Francisco. In 1965, Nimoy co-produced and starred in a film adapted from Jean Genet’s Deathwatch, launching it at a midnight World Premiere as part of the San Francisco International Film Festival. A decade later, he filmed an opening introduction to Ripley’s World of the Unexplained Museum located at Fisherman’s Wharf. 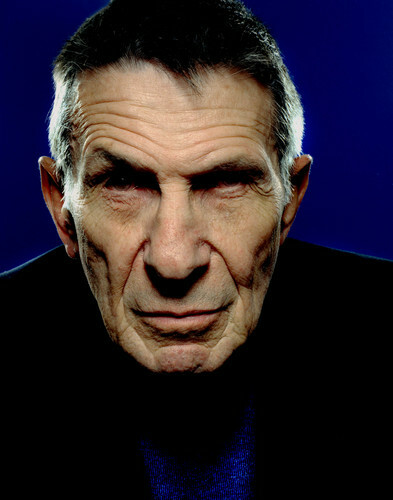 Nimoy brought his acclaimed one-man stage show Vincent, about the artist Vincent Van Gogh, to the City; and in 2003 he gave a presentation at an Institute of Transpersonal Psychology awards ceremony, “Shekhina—A Journey through Scriptural Mythology, Ancient Spirituality and the Divine Feminine,” based on his first monograph as a photographer. He also appeared at Bay Area science fiction conventions. But for many locals, it was two major movie projects in San Francisco that inspire fond memories of Nimoy. In 1986, he directed the film most consider the best of the original Star Trek features, Star Trek IV: The Voyage Home. Previously, in 1978, he acted in Philip Kaufman’s unique remake of Invasion of the Body Snatchers. 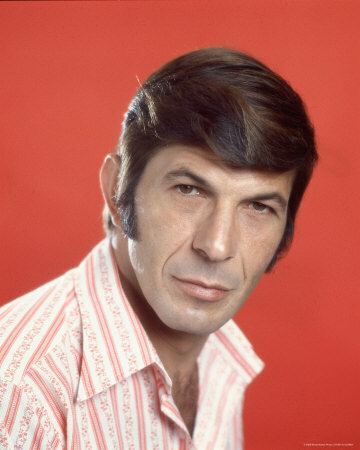 A warm-blooded Leonard Nimoy circa-1970s. I was hired to do the first Star Trek feature. The TV show had been taken off the air some years before, but Gene Roddenberry, pointing to the passionate fan base, had convinced the studio to do a small feature. The studio’s enthusiasm was tepid, but they agreed as long as the budget would be very, very low. Leonard Nimoy was cautious about coming aboard. When I met with him I could see why: he was not Spock! He was a warm, articulate, humorous man, passionate about many things, foremost among them acting; but also, as we came to know, directing, photography, poetry – in fact, all things human! Though deeply attached to the Spock character he had created, he said he would only be interested if the feature film would go where no episode had gone before. I couldn’t have agreed more. There were some earlier versions of the script that didn’t feel right, didn’t feel like the film Leonard and I had spoken about. So I wrote a story that centered around Spock and his intense mental battles with a powerful Klingon to be played, I hoped, by Toshiro Mifune. It would be a feature film that appealed to a greater base, expanding the Trekkie nation. It had great scope—an imperiled solar system, many endangered life-forms, a terrifying journey through a black hole, mind-boggling time travel, etc. 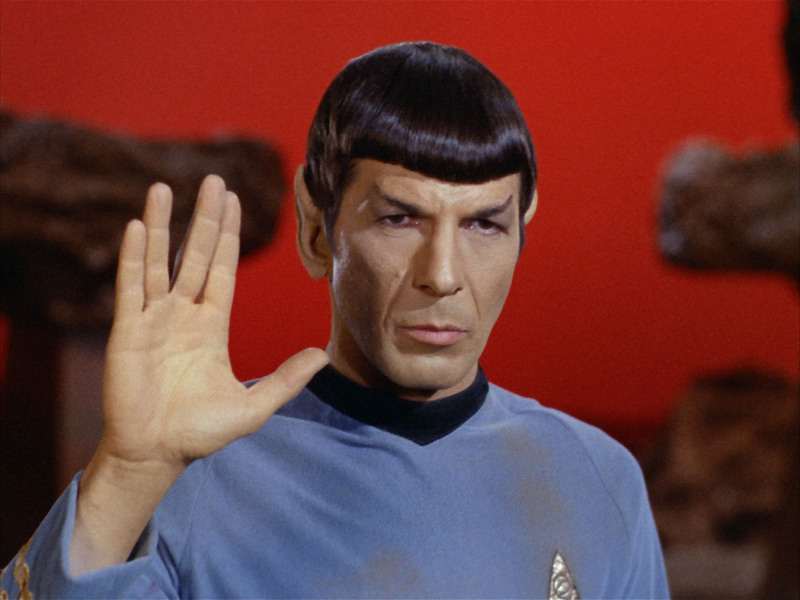 The man, the character: Leonard Nimoy as Spock. Using new techniques, it could be done reasonably. Olaf Stapleton was the guiding influence. And Leonard was on board. We hired Ken Adam, the production designer of the Bond films. George Lucas, who was then working on a little science fiction film of his own (which was being derided by industry insiders) suggested hiring his artist Ralph McQuarry. The two of them went to London to start prep while I finished writing. Weeks later, George’s little film called Star Wars opened. 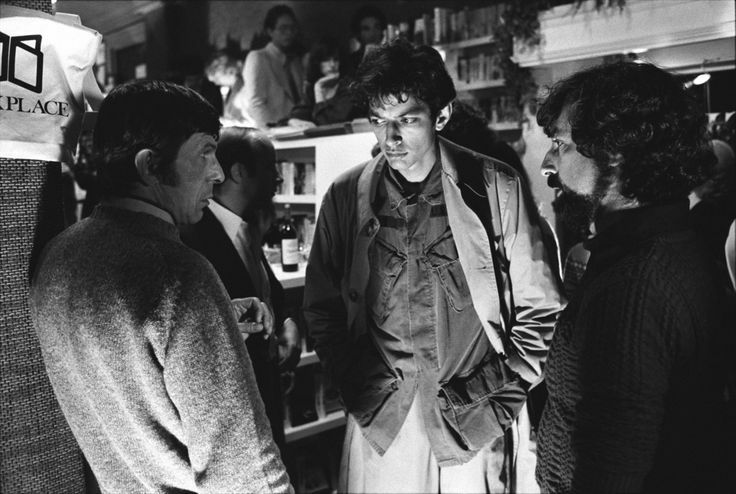 I, Pod: Leonard Nimoy, Jeff Goldblum and director Philip Kaufman on the set of Invasion of the Body Snatchers (1978). I swore to Leonard that I’d find a way for us to work together. I got lucky. My next film, Invasion of the Body Snatchers , had something to say about people who come to live without feelings and emotions. Right up Mr. Spock’s alley! Two faces: Leonard Nimoy as Spock on Star Trek and as Dr. Kibner in Philip Kaufman’s Invasion of the Body Snatchers . Leonard’s Dr. Kibner, the New Age shrink who advises people not to hide their emotions, was the centerpiece of the film, the one who articulates what the film is about. Leonard worked on every detail in establishing the comforting, humane Dr. Kibner—from his understanding smile down to his Birkenstock sandals. It was great to watch him develop his character into an ideal confidante, a comforting, hip San Francisco shrink who could protect everyone from creeping psychoses and anxieties and provide sweet dreams. But then, without ostensibly changing a thing, still saying the same things in the same calm voice, Leonard subtly, chillingly became a pod … sweet dreams became a nightmare. 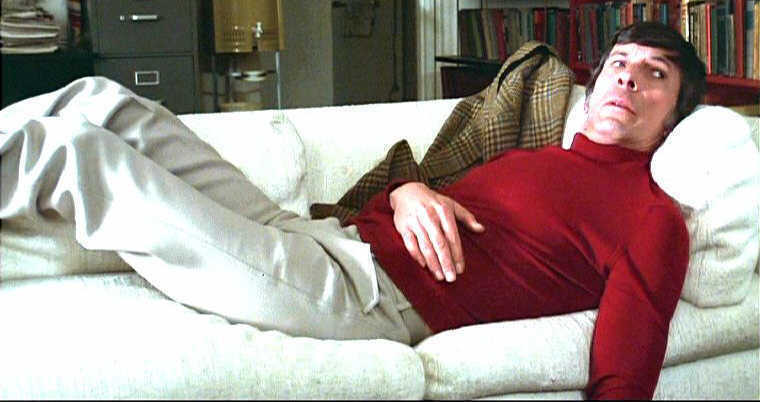 The doctor is in: Leonard Nimoy as a California shrink in 1978’s Invasion of the Body Snatchers . Whenever crises in the production arose, Leonard was as cool and unflappable as Spock would have been. His solutions were always inventive, sharp and deeply human. It was a horror film that needed to be funny in order to work. And Leonard Nimoy was a very funny guy. He always got the joke. It was a great honor and pleasure to have worked with him, to have known him. All the San Francisco crew and production team felt the same way. And the other actors loved working with him. Once he fully inhabited Dr. Kibner, he told them to feel free to throw anything, any improvisation, at him. Leonard could handle anything. 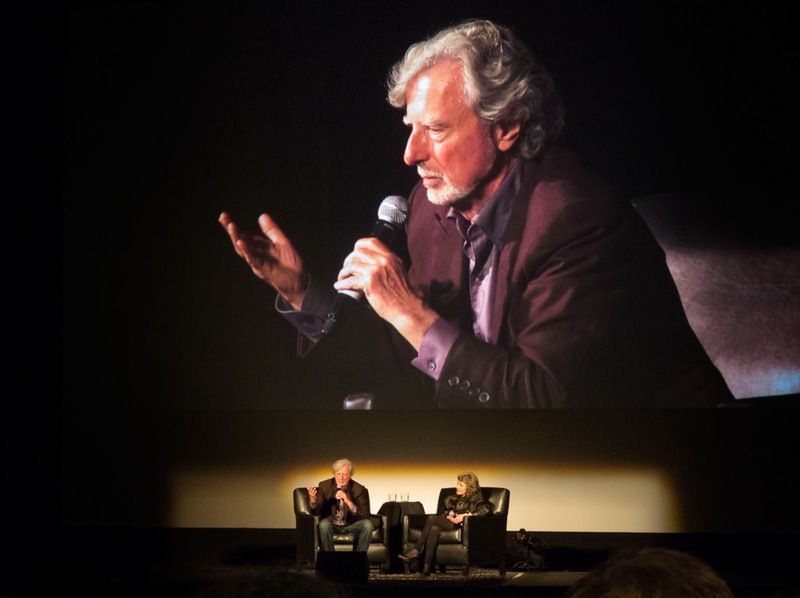 Based in the Bay Area, Philip Kaufman grew up on the north side of Chicago and graduated from the University of Chicago. In 1963, inspired by the New Wave and encouraged by Anais Nin, he co-wrote and directed his first film, Goldstein, starring members of the Second City comedy troupe; it won the Prix de la Nouvelle Critique at the 1964 Cannes Film Festival. In 1965, he wrote and directed Fearless Frank (aka Frank’s Greatest Adventure), starring Jon Voight in his film debut. Settling permanently in San Francisco, he developed the original story for Raiders of the Lost Ark with George Lucas and wrote the screenplay for Clint Eastwood’s The Outlaw Josey Wales. Continuing to explore the great outdoors before moving to street films and personal drama​, Kaufman directed two movies ripe for rediscovery, The Great Northfield Minnesota Raid (1972) and The White Dawn (1974). In 1977, he directed Invasion of the Body Snatchers (starring Donald Sutherland and Brooke Adams) which was shot in San Francisco. His other films include: The Wanderers (1979), adapted with his wife Rose from Richard Price’s novel; The Right Stuff (1983) (Amazon or Indiebound) winner of four Academy Awards and recently inducted into the National Film Registry; The Unbearable Lightness of Being (1988), winner of Best Picture and Best Director awards from the National Society of Film Critics; Henry & June (1990), an adaptation of Anais Nin’s memoir of Henry Miller and his wife June; Rising Sun (1993), based on the Michael Crichton bestseller; Quills (2000) nominated for three Academy Awards; and Twisted (2004) and Hemingway & Gellhorn (2012), both shot entirely in the San Francisco Bay Area. www.philipkaufman.com. Wednesday March 25 at 7pm at the Balboa, featuring Star Trek II: The Wrath of Khan (7pm), and Star Trek III: The Search for Spock (9:30pm). Come and honor this incredibly talented man! To buy Leonard Nimoy books and music from our Amazon affiliate link, click here. To buy his films and TV Shows, click here. This entry was posted in Films and tagged Films, Leonard Nimoy, Philip Kaufman. Bookmark the permalink.